Choosing the right clinic for your treatment is a big decision. It’s important that you not only feel confident about your practitioner’s experience and credentials, but also that you can relax and trust in their advice and integrity. I’ve worked in aesthetics for the past 12 years, during which time I’ve gained a wealth of experience in the field. Previously, I was a nurse clinician in medical emergencies before I decided to pursue my passion for aesthetics. 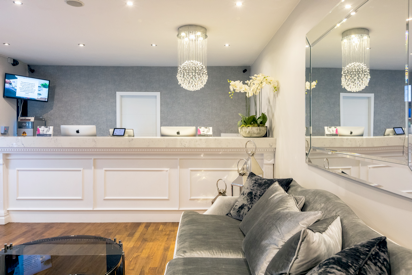 I established Therapy House – of which Dawn Attewell Aesthetics is the cosmetic medical off-shoot – from scratch eight years ago, and have seen thousands of patients over this time. I’m always updating my skills and training, most recently completing a Postgraduate Diploma in Facial Aesthetics at Uclan, before embarking on my current Masters in Cosmetic Nursing. I am a member of the British Association of Cosmetic Nurses, as well as being appointed to the Board of the British Association of Cosmetic Nurses, and the Governance Group for IHAS representing the Royal College of Nursing and the British Association of Cosmetic Nurses. I was also recently sponsored by Allergan to attend the European congress on anti-ageing and aesthetic medicine in Paris. As someone who is closely involved in identifying and upholding best practice in aesthetics, I am absolutely committed to making sure that you get all the information you need to make an informed decision about which treatment(s) would be right for you. There’s honestly no pressure – just advice that’s unique to you. Our senior beauty therapist has a wealth of experience within the beauty industry. She spent many years on the cruise ships before she moved back home and worked at the Dalmeny Hotel Spa. She has worked at Therapy House for 2 years now and is qualified to NVQ 3. Danielle joined the Therapy House team after completing college. She is an asset to the team. An extensive training programme has meant Danielle is able to provide a wide range of treatments at Therapy House to a very high standard. She is a very positive person and endeavours to provide a high quality of treatments to each individual she sees. She is qualified to NVQ 3. Emily is qualified beauty therapist and makeup artist. She is qualified to NVQ level 3 in beauty and has a foundation degree in specialist hair and makeup. Ana is a qualified and fully insured holistic therapist qualified to NVQ level 3. She has a wealth of Knowledge and experience, practising with hundreds of clients and through continuous training for personal and professional development. It is this variety of skills that enables Ana to be flexible and able to personalise treatment combining therapies to help clients physically, emotionally and spiritually. 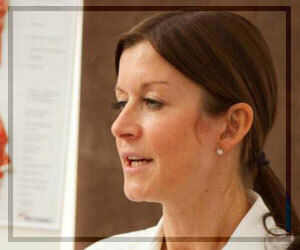 Billie has over 15 years experience working on reception within the beauty/aesthetic industry. She prides herself on providing a confidential service and is passionate about treatments within Therapy House. Her customer service is second to none and Billie is always available to advise and guide you towards your perfect treatment. Debbie has over 20 Years experience working on reception within the beauty industry . She prides herself in her knowledge and expertise and is able to recommend treatment she feels best suit your needs. Her customer care is outstanding. Want to know more about our treatments at Therapy House?